Even though many of our members recall the opening of the pool in August of 1961, the history of the club started many months previous. The origin of the Miami Hills Swim Club started with an idea. The idea that this community needed a facility of this type started in the Day Heights Civic Association. It was a grant in aid that started the ball rolling. The efforts of the dozen or so people who got behind it kept the ball moving until the idea became a reality. The Day Heights Civic Association loaned the swim club $200 and Glenn Manker donated $250 to finance the initial steps necessary to reach the goal. An ad in the local paper solicited those people who might be interested in a swim club. While the response was not great, it was enough to keep the idea alive. Committees were formed to plan and supervise the activities. The strength of the individuals was all that kept the idea alive at that time. As information became available regarding construction, operation, pool site, membership, ownership, dues, initiation fees, health regulations, sanitary and safety rules, taxes, and last but not least, the legal registration of the group, it appeared that the obstacles might be too great. Too many people were saying, build the pool and Ill join, and the first shovelful of dirt will never be moved. 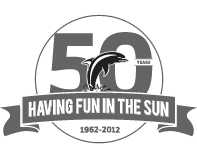 In early 1961, the State of Ohio granted corporation status to the Miami Hills Swim Club as a non-profit organization. The organizing group knew this was not much more than a piece of paper, but with it came the momentum to sign up 160 charter member families at $250 per family membership. Every device known was used by the organizing group to sell 160 memberships: newspaper advertisements and publicity, hand bills, phone calls, door to door canvassing, and a public meeting. It took $40,000 to assure that the option on the land could be exercised and a pool constructed. The balance of the necessary funds could then be borrowed. The swiftness with which the program moved, once the 160 charter members were signed, made borrowing money unnecessary. This alone mounted to a considerable savings, but through the efforts of community spirited citizens, the pool was built at a much lower cost than other pools of comparable size and quality. Tragically, one of the key members who helped create Miami Hills Swim and Tennis Club was killed in an accident while the building of the facility took place. Robert J. Mueller, 39, President of the Day Heights Civic Club, was fatally injured in a tractor accident while preparing the grounds for the facility. Glenn Manker and Robert Mueller were working on the grounds when the tractor that Mr. Mueller was driving overturned twice, tragically taking his life. Mr. Manker was a witness to the incident. Mr. Mueller was survived by his widow, Margaret Moeller, and their six children. The pool membership now numbers over 400 families, but was originally chartered for 500 members with the State of Ohio to provide for future expansion, and May 30, 1963, marked the beginning of the 2nd full year of operation. Many local businesses donated their products and labor to the construction of the facility. The original waterline had to be run from Wolfpen Pleasant Hill Road through the church and school property. There wasnt any water line on Rainbow Trail at this time. Many of the original trustees, club members, and contributors have passed away in the past 40 years. Day Heights Hardware, Sam Sewell, Alvin Grill, M&G Co, Ralph Johnson Plumbing, Dallas Daulton Excavating Co, Delmer Ball Construction, Roy Ball Construction, plus many more. Our club continues to grow, and with the foresight of many of our members, a major remodeling project was undertaken in late 2004/early 2005, resulting in the modernized and beautiful clubhouse that we have today. A combination of wonderful families and a great facility make Miami Hills Swim and Tennis Club what it is – GREAT! !